Calmness can be startling. The tranquil Ouse, gently flowing as it usually does, with a boat moored at Marygate Landing, viewed through the arches under Scarborough Bridge. I see this scene a lot, but it seemed remarkable after the recent floods. 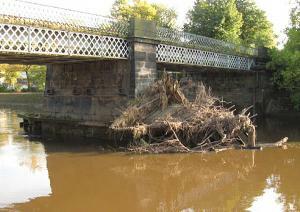 I can’t offer a comparison image, as the path I was walking on was underwater during the floods. I could only stand on the other side of the floodgates and walls and watch the brown water rushing past. The river brought to York vegetation from miles away, and left piles of twigs and branches at points where its flow met resistance, as at Scarborough Bridge. 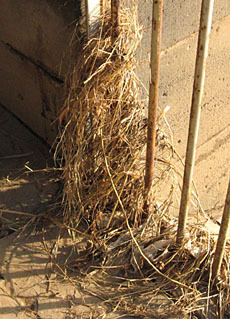 Smaller obstacles collected their own less bulky debris. 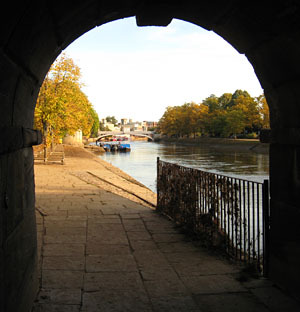 The Ouse doesn’t care that these paths have been named “Judi Dench Walk” and “Joseph Rowntree Walk”. It leaves its mess in their riverside railings just the same. 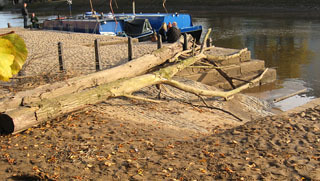 Another barrier at the end of Marygate caught tree trunks not captured by the upstream bridges. 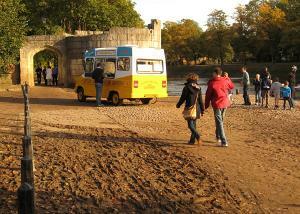 A sign of a return to normality: the ice cream van has arrived on the muddy Marygate Landing. 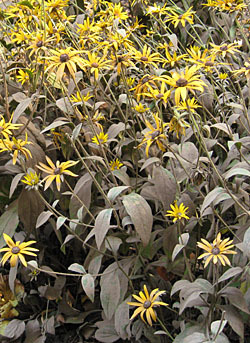 These rudbeckia in the Museum Gardens normally have green leaves. The river left its mark here too. 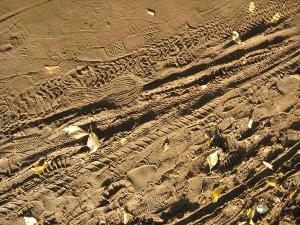 The mud on the riverside paths is eventually cleaned away after the floods. 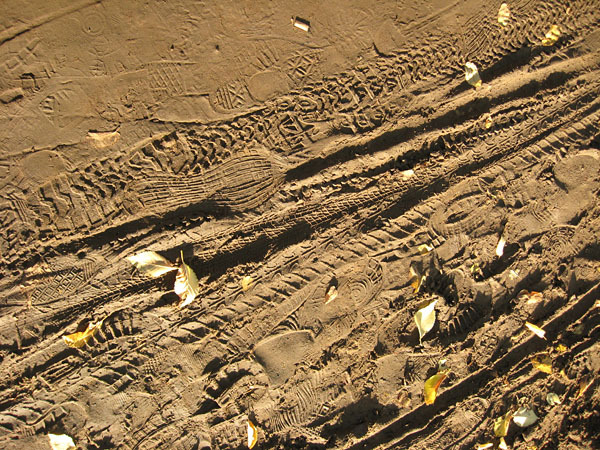 While it remains, on a sunny October Sunday, the debris from the river’s flow has captured the imprint of our human movement. We’re down here again running, walking, cycling, as soon as the river retreats.